Our product range includes a wide range of masking tape, ceramic rod, spray powder and arc wire. We are counted among the most distinguished organizations engaged in providing qualitative range of Masking Tapes. The offered tapes are widely demanded and are suitable for various applications. The product is acclaimed by our patrons owing to its unbeatable reliability, superior quality, and excellence. These tapes are made by using high-quality raw material which makes them resistant to high temperature and has high adhesion. We offer it in various lengths and specifications as per the needs of clients. MEC has a complete range of high performance masking tapes specifically designed to meet the needs of the Thermal Spray Industry. These tapes provide superior mechanical and thermal protection. Excellent abrasion resistance makes these tapes ideal for Grit Blasting and Plasma, HVOF applications. These tapes are available in width from 1/8" to 48", standard roll length is 36 yards. 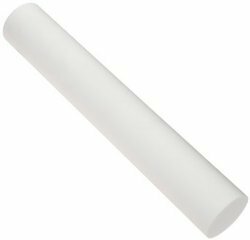 As per the specific needs of the clients, we are engaged in providing a high quality range of Ceramic Rod. We offer our clients with an advanced range of Ceramic Rod that is widely demanded in the market. With the continuous and sincere efforts of our deft professionals, we are manufacturing a quality range of Ceramic Rod. We offer variety of Spray Powder which are extensively used in offset printing industry. 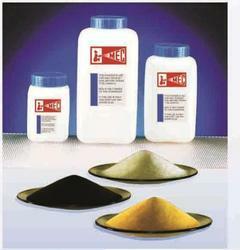 The range of includes coated, uncoated and these are available in different particle sizes. Moreover to this, this powder is offered to the commercial patrons in complete safe packing that is moisture resistant. Additionally, this spray powder is non toxic. Metals. Alloys & Composites: NiAl. NiCrSiB, Stellite 6. Alloy 625 etc. Ceramics: Yttria stabilized Zirconia. Chrome Oxide. Alumina-Titania etc. Abradables: Nickel Graphite. Aluminium Polyester etc. ARC Wire are carefully manufactured by skilled professional in compliance with industrial quality standards and finest quality material and advance technology at well equipped production unit. 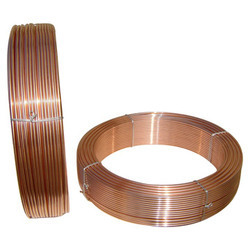 Sub Arc Wires can be obtained in different sizes, designs, and specifications including customization as per requirements. This product is highly accredited in the market for long strength and unique design by the clients. We recognize that high quality spray equipment without compatible, first-rate coating material can lead to less than desirable coatings. For arc spray, only wires designed and produced for thermal spraying ensure trouble free application and superior, consistent coatings. MEC has complete portfolio of ARC WIRES & FLAME WIRES with over 100 standard materials include Aluminium, Aluminium Alloy. Tin, Tin Alloy, Nickel. Nickel Alloy, Zinc, Stainless Steel. Brass. Monel. Copper & many more. MEC is also able to fulfill the requirement of Cored Wires, the latest development in coating consumables. Ceramic Rods are available being used with CERAMIC ROD SPRAY SYSTEM. MEC can assist in the selection of the correct material for specified applications.